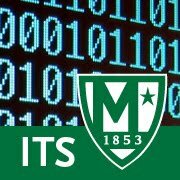 In preparation for the Fall 2012 semester, the Manhattan College Office of Information Technology Services has completed a major upgrade of campus wireless coverage. Over 100 WIFI hotspots were deployed to provide full coverage to the O'Malley Library, Leo Engineering Building, and Smith Auditorium using the latest dual-radio (2.4GHz and 5GHz) 802.11n technology. This latest upgrade means better signal in more places with faster speeds up to 300Mbps. JasperNet WIFI coverage can be found via our online network map. The recent upgrades of O'Malley, Leo, and Smith add to a multi-year initiative that has seen the deployment of almost 400 individual hotspots providing full 802.11n coverage to more than 2/3 of campus buildings. The remainder of buildings on campus are partially served by a mix of high-speed 802.11n technology (in recently renovated classrooms and other areas) and previous-generation 802.11a/b/g (up to 54 Mbps).